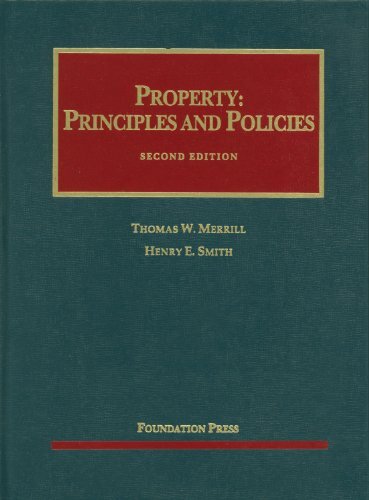 This revised casebook is designed for a building blockProperty course that serves as a student's foundation for the rest of law school and beyond. Avoiding the typical hodge-podge of issues, the book presents the material in an integrated way, starting with the central role of exclusive in rem rights in property and systematically developing elaborations, exceptions, and counterfoils to this idea, using vivid cases old and new. Timely issues in intellectual property, mortgages, and regulatory takings, as well as traditional topics like equity and restitution, are given expansive treatment. The emphasis throughout is on fundamental principles and policy questions.